With the NBA regular season scheduled to debut in less than a week, one should expect an incredible ride much like the one we enjoyed during the 2011-12 season. 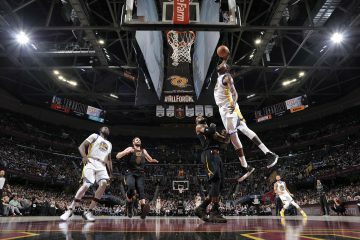 An argument could be made that the regular season has never been more fun considering the player movement and consequently the improved teams in the league that should forge some captivating rivalries that may be remembered for generations. But before we get to the league, let’s first look at 20 for the Golden State Warriors. 20. Klay Thompson’s quick release and beautiful stroke will help him win the 3-point shooting contest during All-Star weekend. 19. Andrew Bogut will appear in at least 60 games. 18. Stephen Curry is going to also participate in the 3-point shooting contest in February. 17. With Dirk Nowitzki scheduled to miss a huge chunk of the first half of the season, it will leave a forward spot up for grabs for All-Star reserves, and David Lee will get that spot. 16. Andrew Bogut will not only be a beast defensively in man-to-man defense, but when the Dubs will switch to their zone defense, Bogut will be a one-man wrecking crew by altering shots, rebounding and creating fast break opportunities. 15. Andrew Bogut’s defensive work for the Warriors will lead to him finishing second in Defensive Player of the Year voting. 14. Golden State will win two games in the city of Los Angeles. 13. 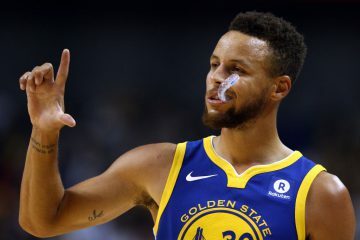 Stephen Curry will be available for north of 50 games for the Dubs. 12. 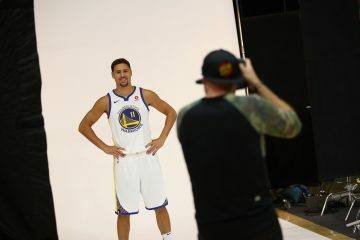 Klay Thompson will emerge as the team’s second leading scorer and as well as a crunch time assassin with his lack of conscience. 11. 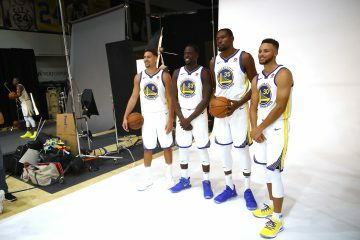 Pau Gasol and Dwight Howard, Marc Gasol and Zach Randolph, Josh Smith and Al Horford and finally David Lee and Andrew Bogut will be considered the best big men pairings in the league; yes, I left out Blake Griffin and DeAndre Jordan from the top 4. 10. Brandon Rush will get some consideration for sixth man of the year thanks to his 3-point shooting and defense. 9. Andris Biedrins will accumulate more DNP-CDs (did not play – coach’s decision) than any other season before. 8. Oh and Andris Biedrins will finally be traded away. 7. Andrew Bogut and Kevin Garnett will definitely get into some type of scuffle when the Dubs and Celtics square off; and I couldn’t be more excited about it. 6. Stephen Curry will have the best shooting season of his career. 5. The Warriors will have at least four nights in which they hit 130 points in regulation. 4. Harrison Barnes will evolve into a legit scoring option that gets plays called for him by season’s end. 1. The Dubs will make the playoffs. 37. Greg Monroe making the All-Star team as a selection by David Stern. 36. The Charlotte Bobcats will be more interesting than the Carolina Panthers. Expect a few Cam Newton sightings. 35. DeMar DeRozan will be the Toronto Raptors’ leading scorer as well as their go-to player in crunch time, which will lead to Raptors fans clamoring for the franchise to give him a max contract. 34. Bryan Colangelo will give DeRozan a contract that averages north of $9.9 million per year, and I will probably make fun of him for it. 33. The San Antonio Spurs will once again finish the regular season with the best record in the league. 32. The Phoenix Suns will have the worst record in the Pacific division. 31. Demarcus Cousins will make the All-Star team. 30. The Los Angeles Lakers will send three players to the NBA All-Star Game. 29. Steve Nash will not be one of the members of the Lakers chosen to represent the Western Conference at the midseason classic. 28. The Orlando Magic will have the worst record in the NBA. 27. The Chicago Bulls will make the postseason as the seventh seed in the Eastern Conference and give the Boston Celtics a scare. 26. The Miami Heat will still get booed in every opposing arena. 25. Kevin Durant will win another scoring title. 24. Steve Nash will not average double-digit assists. 23. Kobe Bryant will have his most efficient scoring season ever. 22. The Washington Wizards will pull off a big trade during the course of the season. 21. With the crowd firmly agitated, Kyrie Irving will score a career high 45 points at the Q on March 20th, when Miami visits Cleveland. 20. Dirk Nowitzki will have his jersey retired on March 15th in Cleveland prior to the Mavericks-Cavaliers contest (you should be able to guess why). 19. There will be a mix of cheers and boos for Kevin Durant when OKC travels to Cleveland on February 2nd because the Thunder couldn’t keep the Heat away from the title. 18. The Milwaukee Bucks, Toronto Raptors and Detroit Pistons will be fighting each other for the eighth spot in the Eastern Conference, with Milwaukee barely making it in. 17. Tom Thibodeau will win the Coach of the Year award for keeping the team afloat despite the absence of Derrick Rose. 16. Lou Williams will lead the Atlanta Hawks in fourth quarter scoring. 15. The MVP voting will come down to Chris Paul, LeBron James, Dwight Howard and Kevin Durant. 14. Mitch Kupchak will win the Executive of the Year award (duh). 13. The Memphis Grizzlies will draw the Los Angeles Lakers in the first round of the playoffs and give them a tough seven-game series. 12. Chris Paul will be awarded with the league MVP award. 11. Carmelo Anthony will lead the league in fourth quarter field goal attempts. 10. The Indiana Pacers will finish with the third best record in the conference. 9. Joe Johnson will be the Brooklyn Nets’ top guy in the fourth quarter, and will make fans realize just how underappreciated he is, regardless of the size of his mammoth contract. 8. 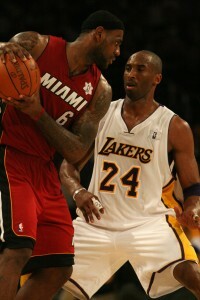 The conference finalists will be the Los Angeles Lakers, San Antonio Spurs, Miami Heat and Boston Celtics. 7. The New York Knicks will be eliminated in the first round of the playoffs, and the world will once again ask themselves: is Carmelo Anthony worthy of the title superstar? 6. Brooklyn won’t be as good as many are anticipating them to be. 5. DeAndre Jordan’s post game will be nice to watch….in the first quarter. And then he will become forgotten until the first quarter of the next game or until he converts a ridiculous dunk off a perfect lob; whichever comes first. 4. The Minnesota Timberwolves and Portland Trail Blazers will evolve into teams that will garner #LeaguePassAlert tweets. 3. After years of not meeting in the playoffs, LeBron James and Kobe Bryant will finally square off in the NBA Finals. 2. The Los Angeles Lakers will win the NBA championship. 1. In an incredible twist of fortunes, Dwight Howard will be awarded the 2013 NBA Finals MVP trophy and thus complete the cycle of going from Dwightmare to dream season.